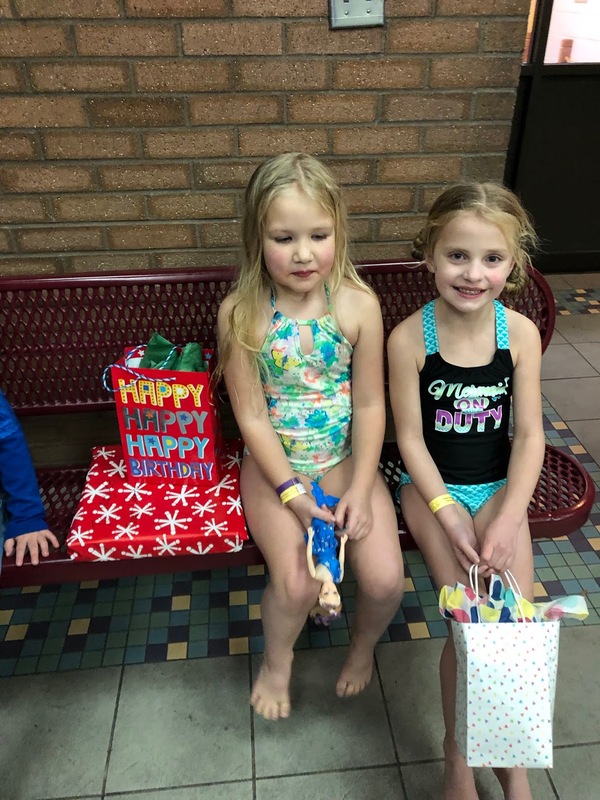 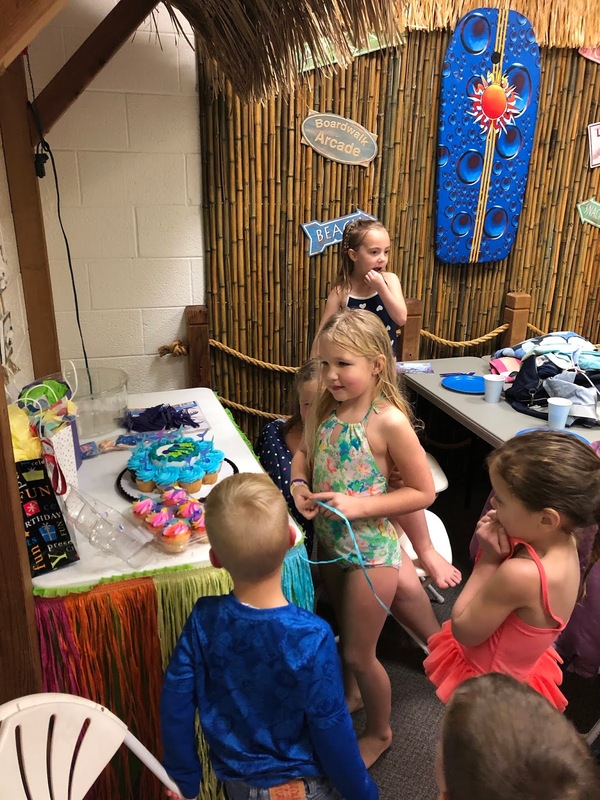 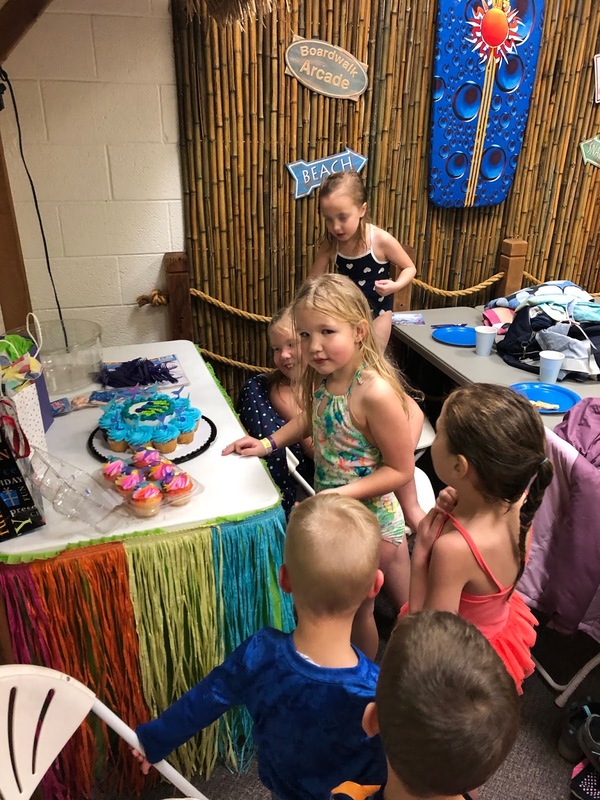 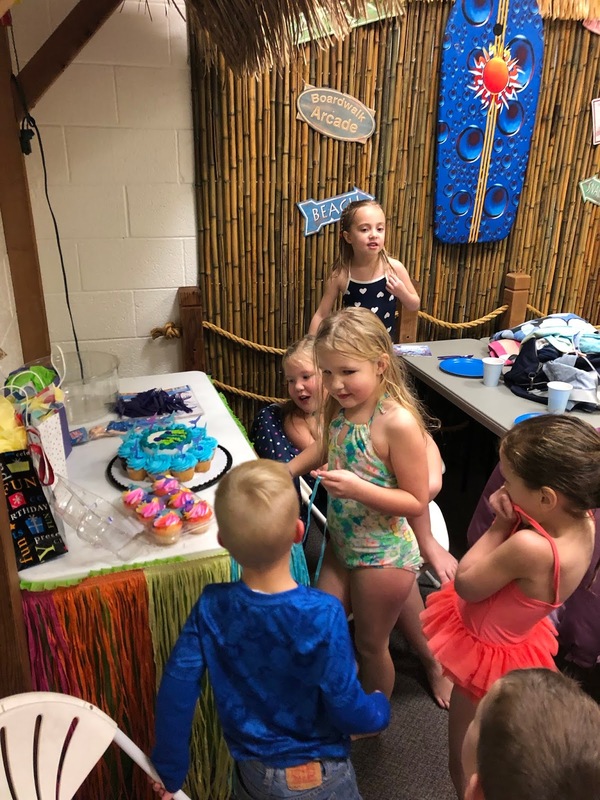 MayLee was super excited for her mermaid party. 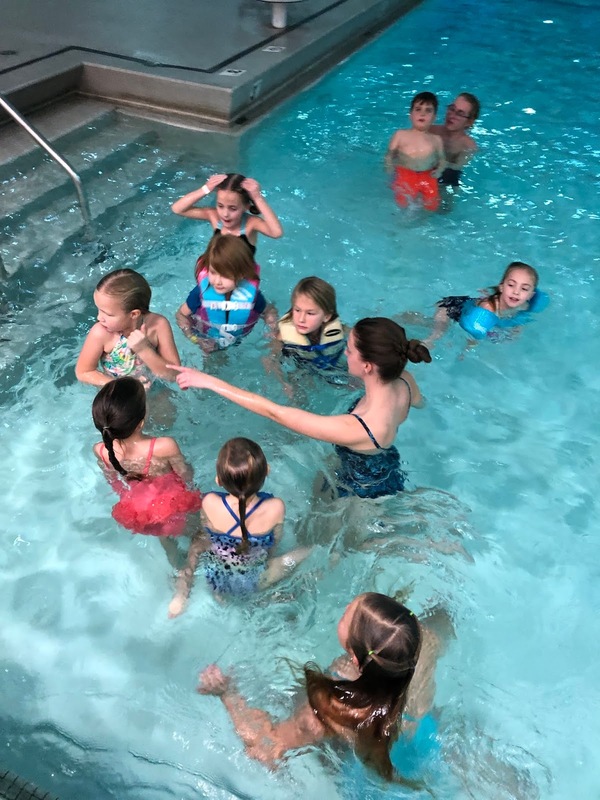 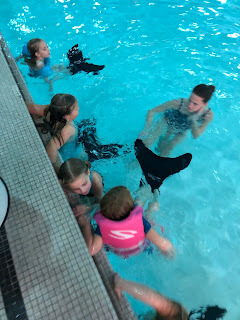 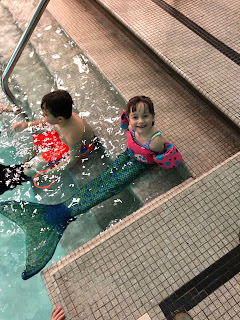 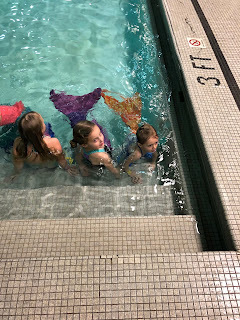 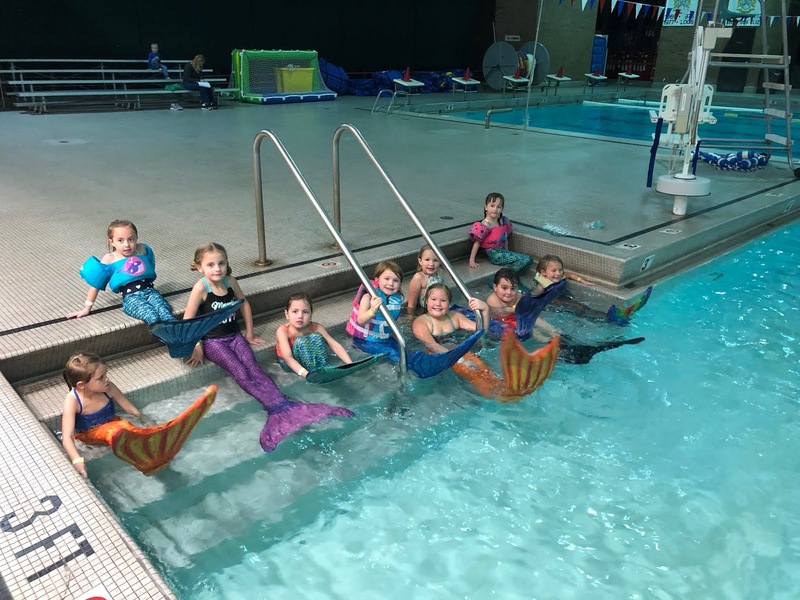 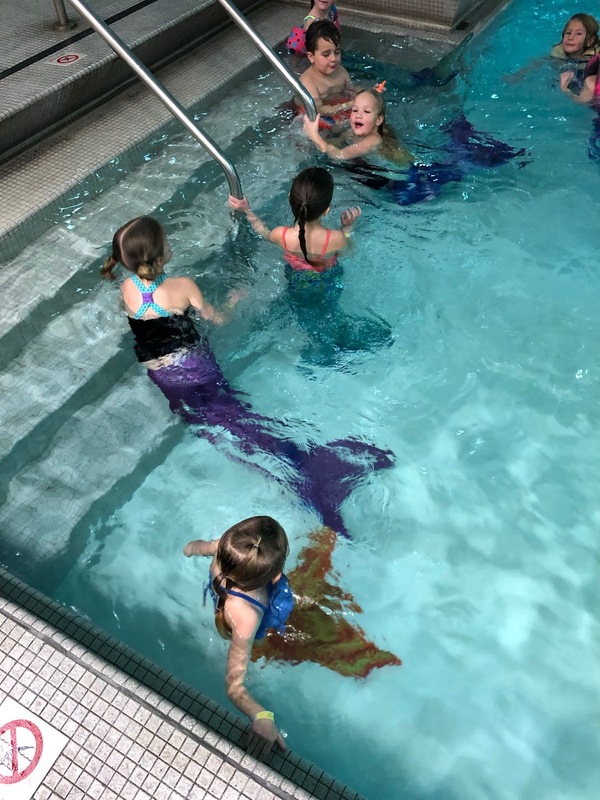 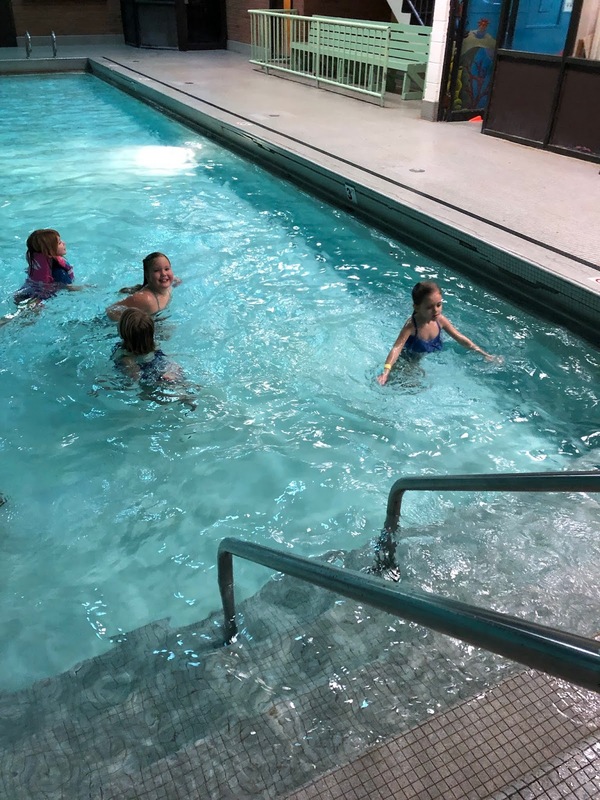 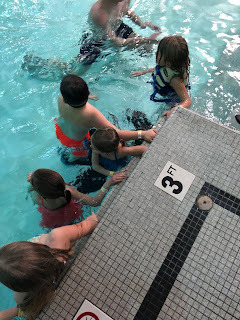 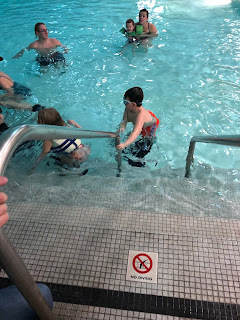 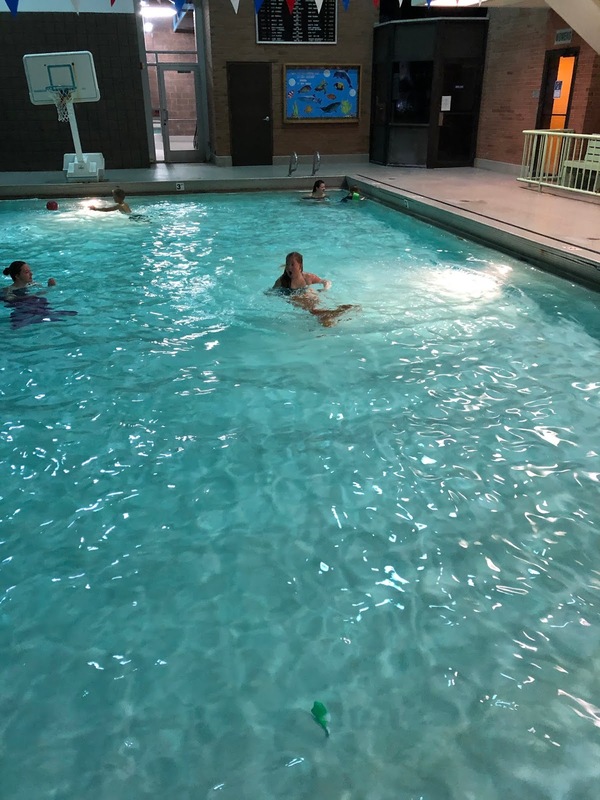 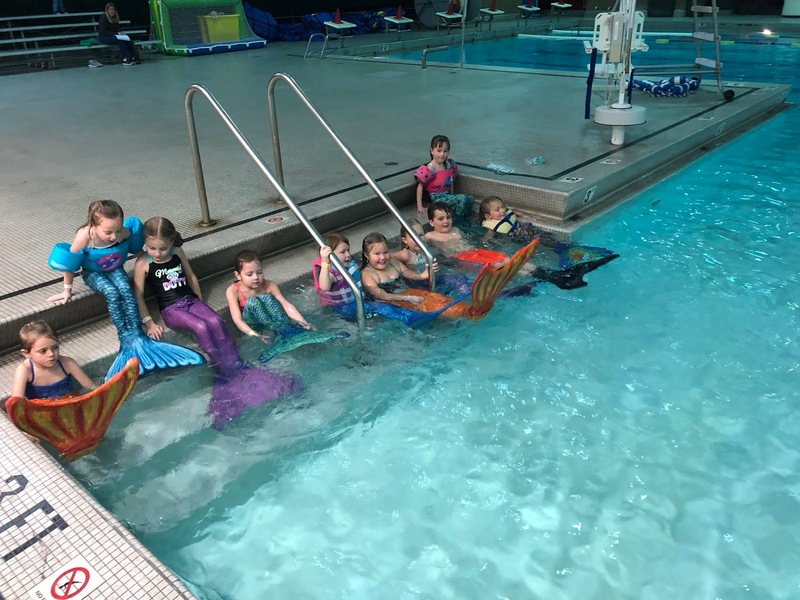 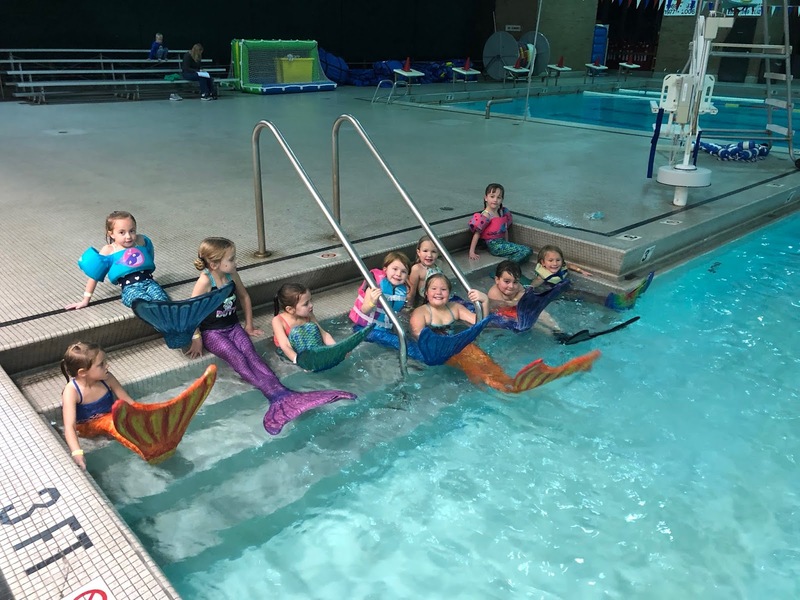 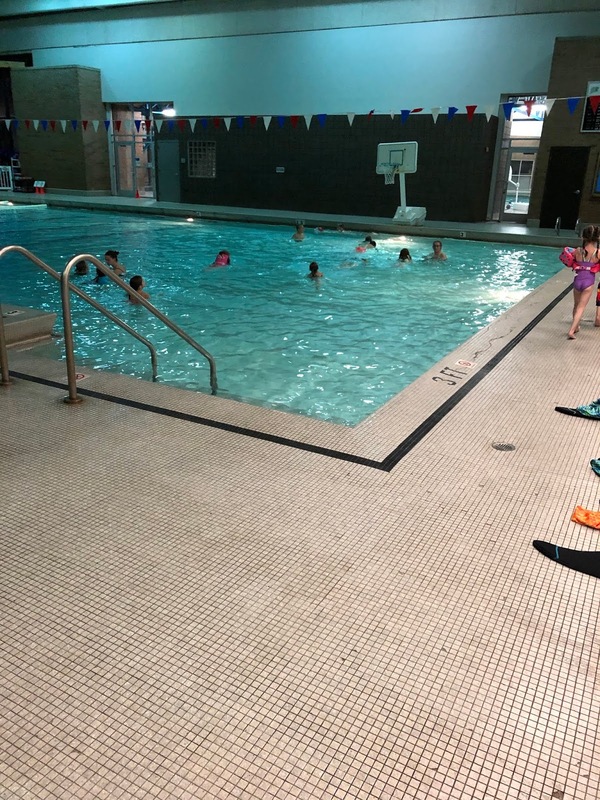 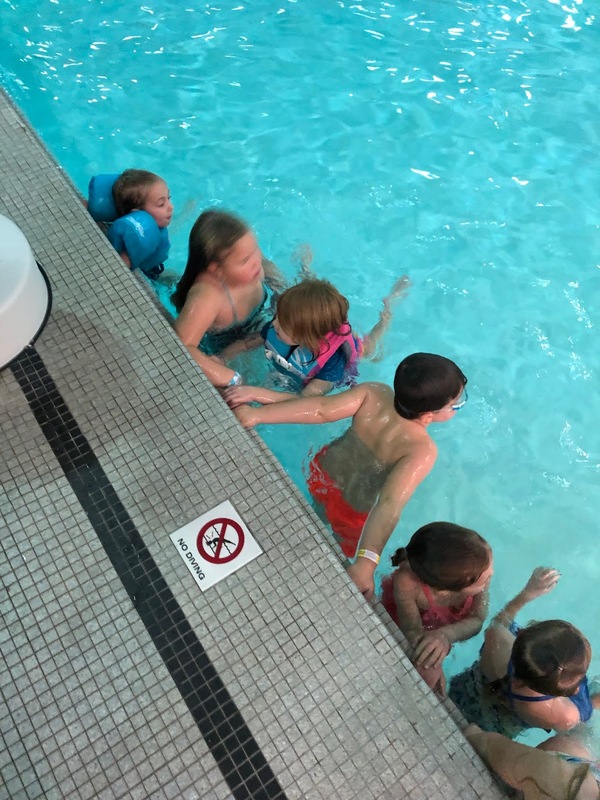 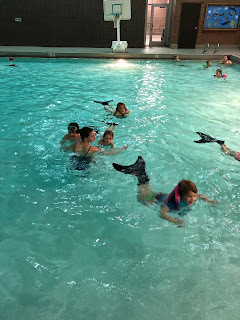 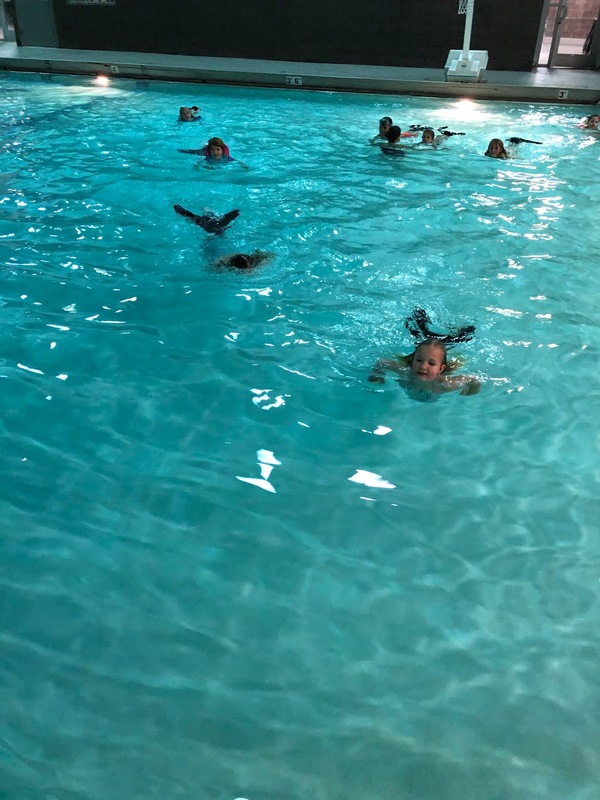 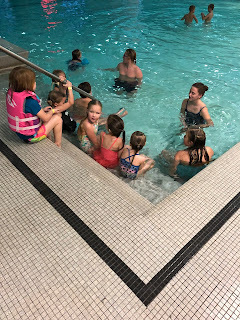 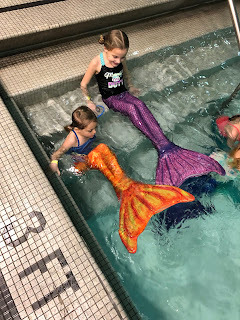 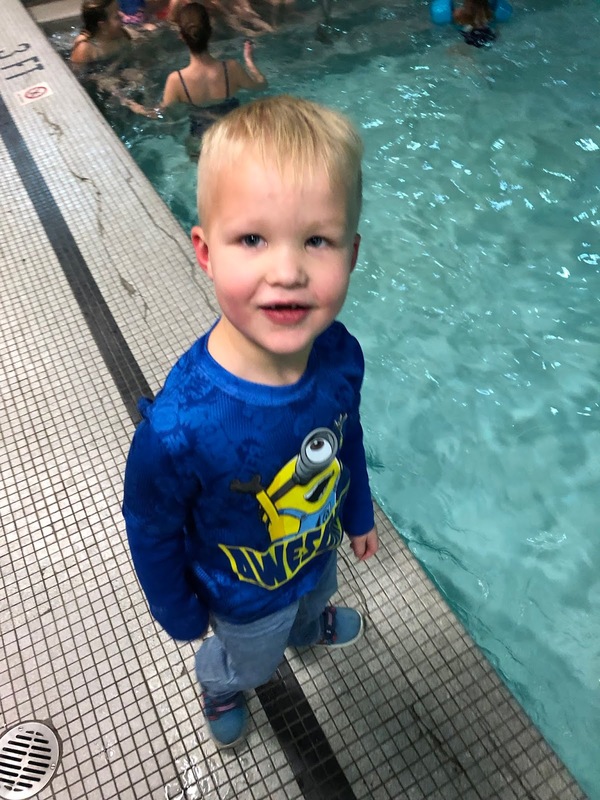 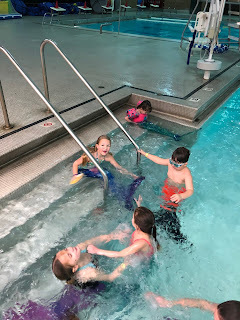 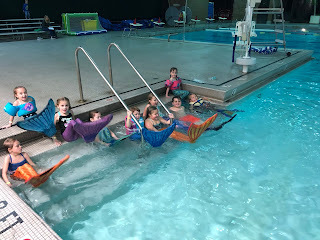 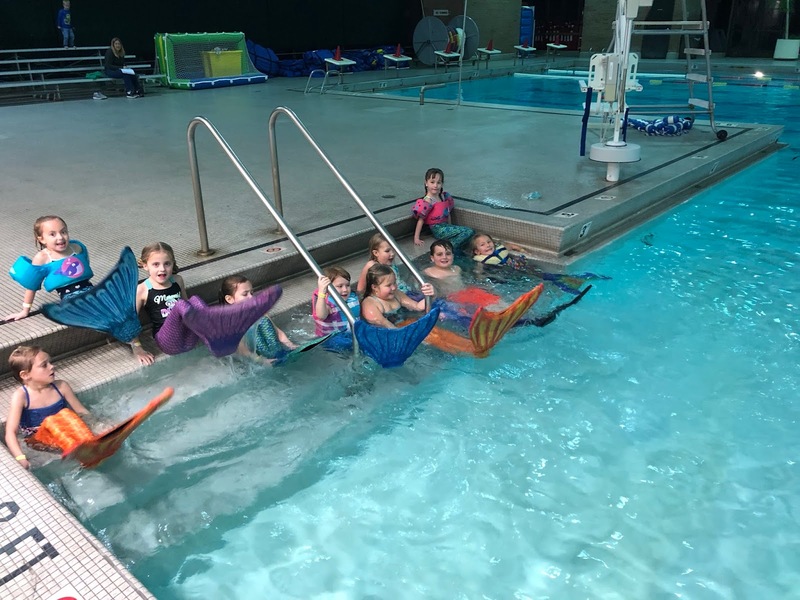 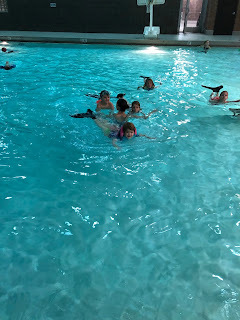 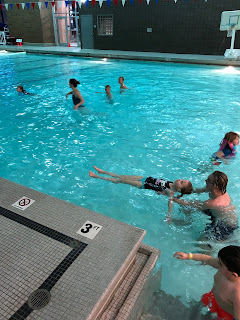 Our Rec Center has a little party that teaches the party goers how to wear a mermaid tail and swim with it. She even got a tail for her birthday so she can be the real deal. 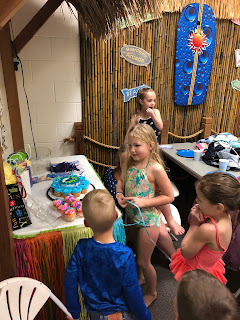 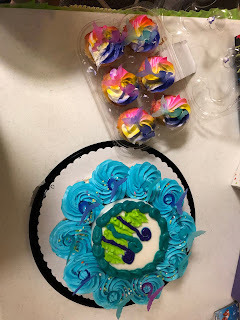 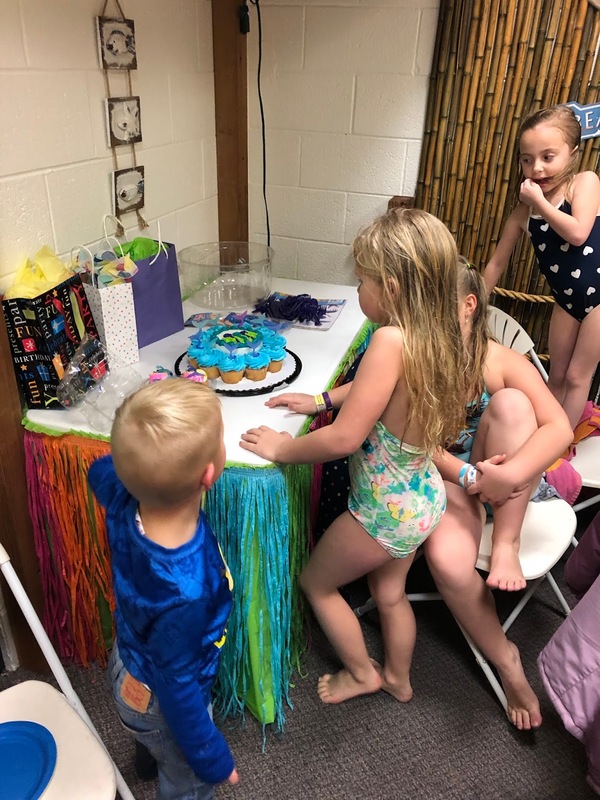 We had mermaid cupcakes and a mermaid's favorite food, PIZZA!!! 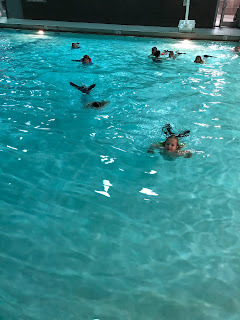 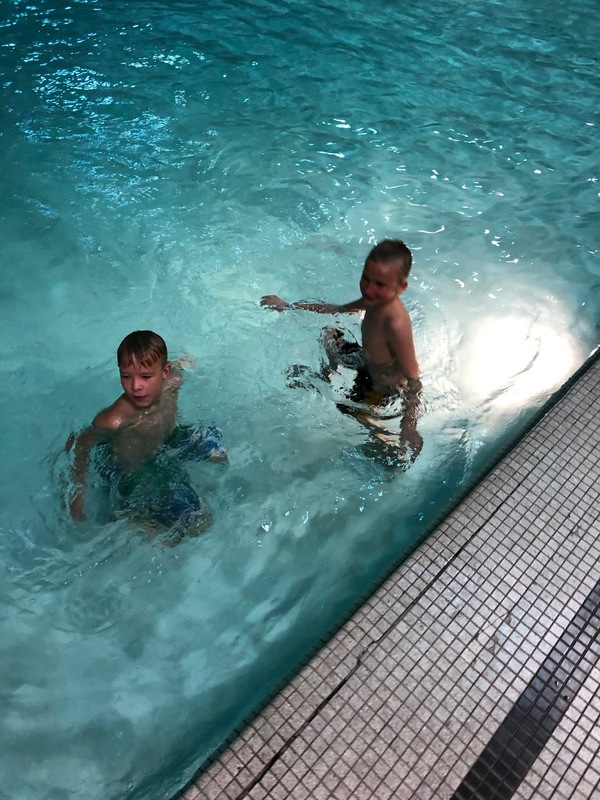 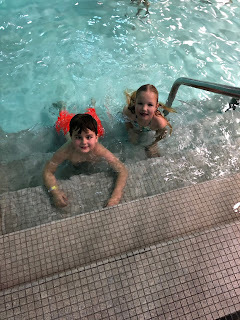 And they swam and they swam all over the da-pool.